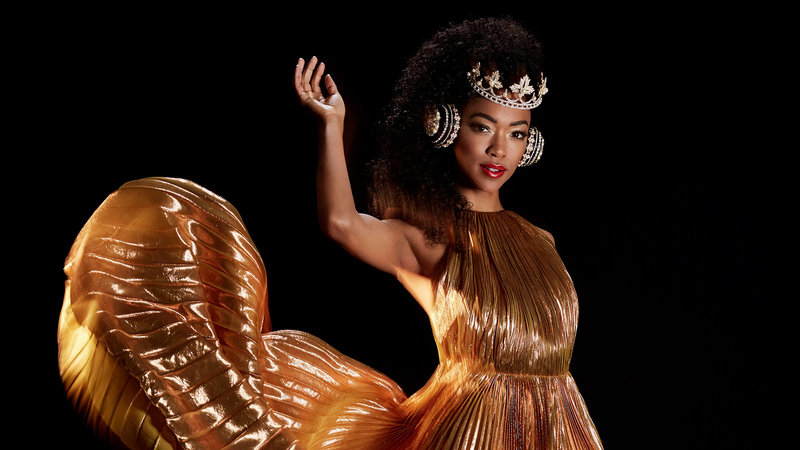 Sonequa Martin-Green has small town roots, and grew up in quaint and friendly Russellville, Alabama. Photography by Marie H. Rainville. Originally published in Watch! Magazine, September-October 2017. Styling by Sasha Charnin Morrison. Gown by Maria Lucia Hohan. Tiara headphones by Lit Headphones by Lisa Campbell. Styling assistance by Caryn Klingsberg. Hair by Roy Brasley. Makeup and manicures by Ashley Readings.